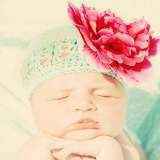 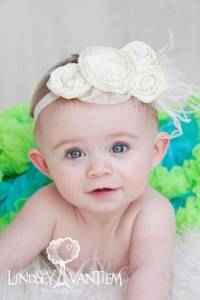 This beautiful baby girl headband makes a pretty baby photography prop. 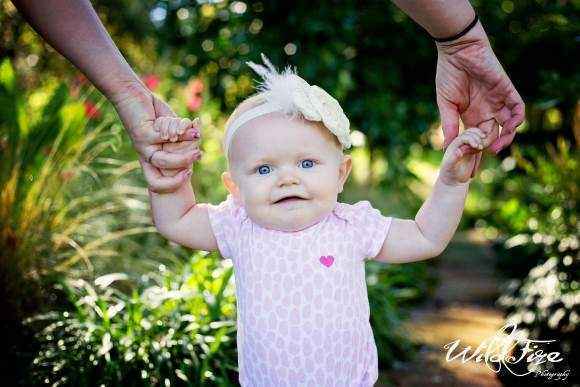 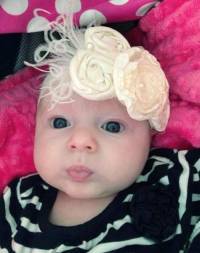 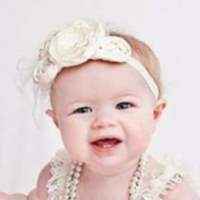 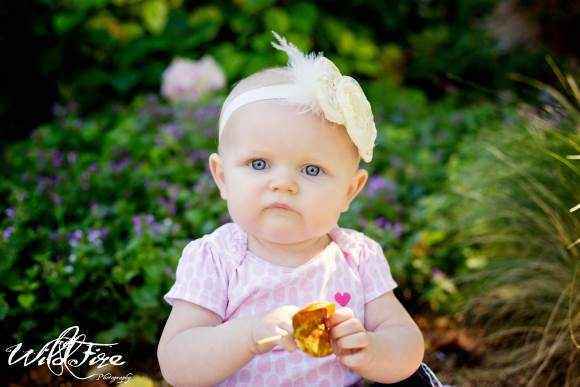 This elegant headband for baby girls is perfect for any casual or formal occasion. 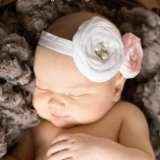 This gorgeous headband for children also makes a unique handmade baby gift. 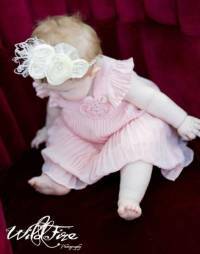 The two pettiskirts and the hot pink zebra minky blanket in the photos are available in the "You might also like" section. 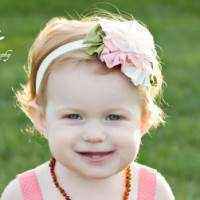 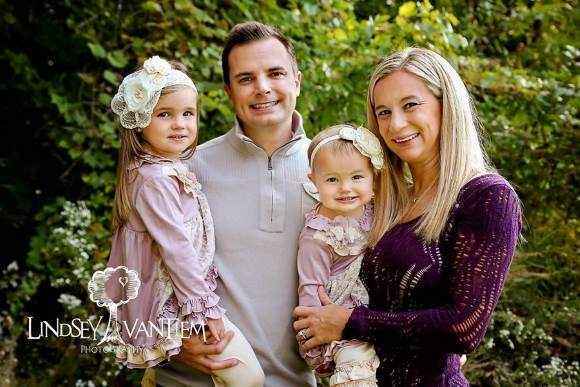 In the family portrait, the Genevieve headband is on the younger child. 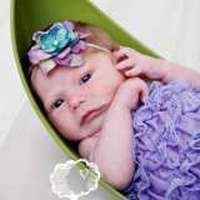 Note: Each beautiful baby girl headband is handmade individually, and so there will be slight variations from the photos. 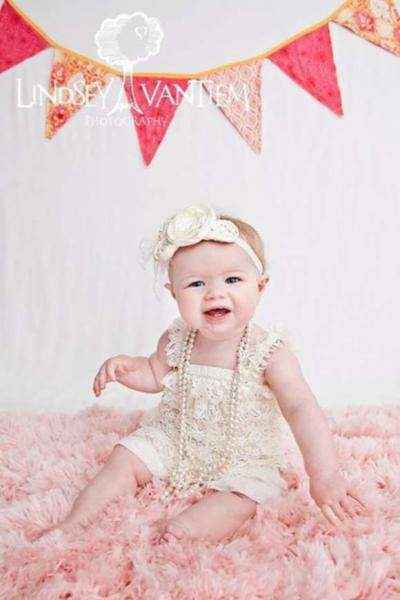 Each elegant headband for baby girls is handmade in the United States.